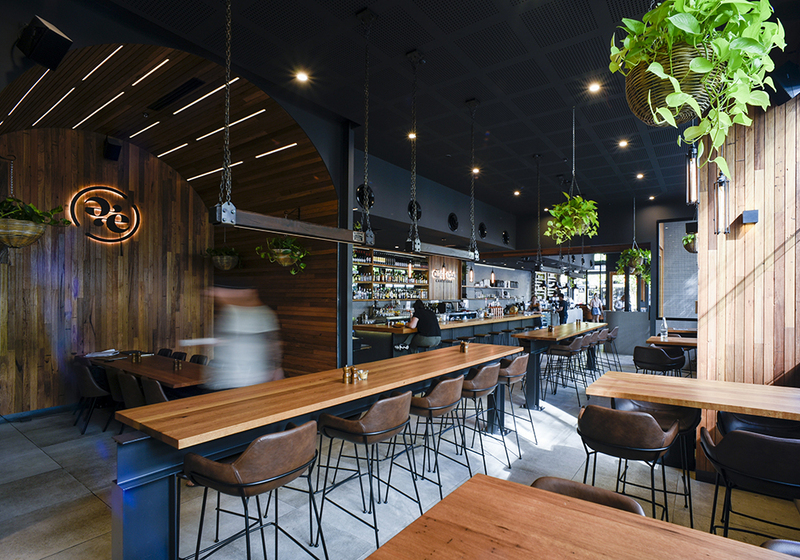 Owner Arthur Choi has had his thumb in a few hospitality pies over the years, culminating in his latest venture Alter Ego— his flagship establishment that has just opened on the corner of Bunda and Genge Street in Civic (formally Cream). As a sole operator and owner of Coffee Lab, The Coffee Grounds, Next Door and soon to open Morning Dew. Arthur has a done a fair few fit-outs and did most of the design himself, working with consultants RBD Projects and Maria Filardo. Adrian from AYG Projects executed his plans with incredible attention to detail. Arthur was after a refined and sophisticated space—he wanted to use recycled timber to balance the mild steel, marble and dark paint and create warmth. Arthur used re-milled clean dressed Blackbutt for all of the benchtops, tables and cladding. A feature shelving unit was made in recycled Australian Mixed Ash. The blackbutt bench tops have a number of recycled features. Although the rough sawn exterior has been planed back there are still a number of nail holes and features that have been highlighted by filling with black resin. All of the timber has been finished in the Osmo Polyx Oil Matt which enhances and protects the timber. Buying quality products locally plays a big part in Alter Ego’s purchasing decisions. Pouring Ona coffee, having Capital Brewing Co on tap and an extensive wine list from the Canberra region enables customers to get behind our local producers and manufacturers. Buying his timber locally lined up with this philosophy. 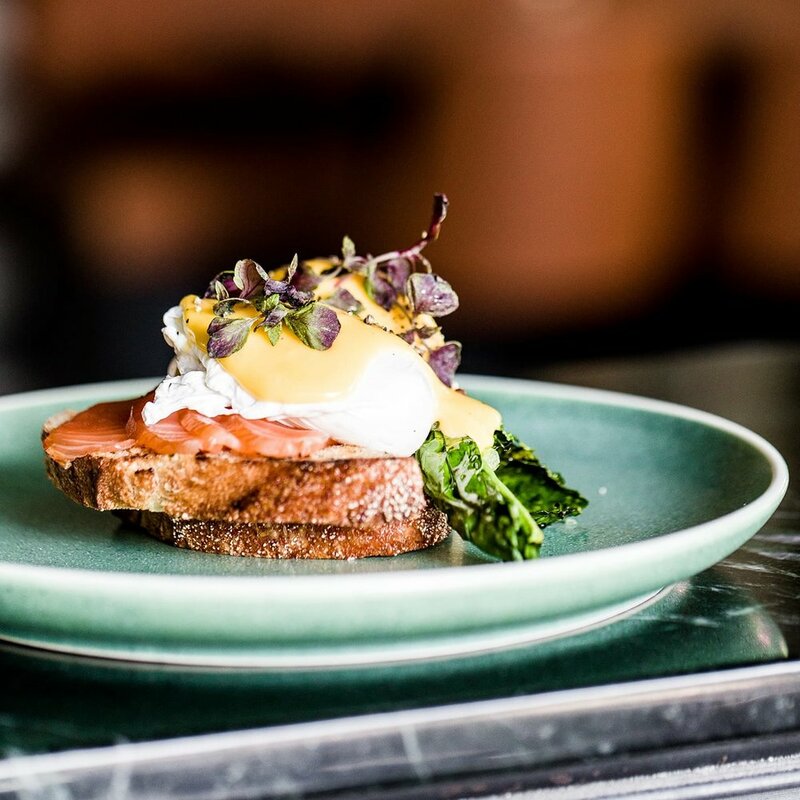 This project was a treat to work on, and we are looking forward to getting our teeth into the Wild Mushroom Eggs Benedict as much as Arthur’s next venture. If you‘ve got a project you’d like to chat about call, email or come and see us at the workshop Monday to Friday, 10 Mildura St, Fyshwick. Opening Saturdays from April 2019. Sign up to our fortnightly newsletter to get stories of inspiring people and projects delivered to your inbox.